Character - Trooper. Points: 7. Health: 7. 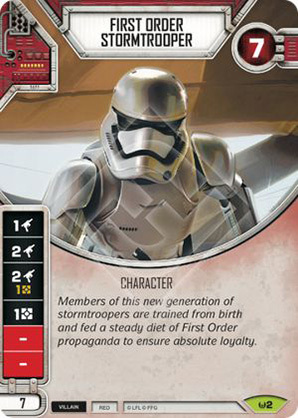 Members of this new generation of stormtroopers are trained from birth and fed a steady diet of First Order propaganda to ensure absolute loyalty.